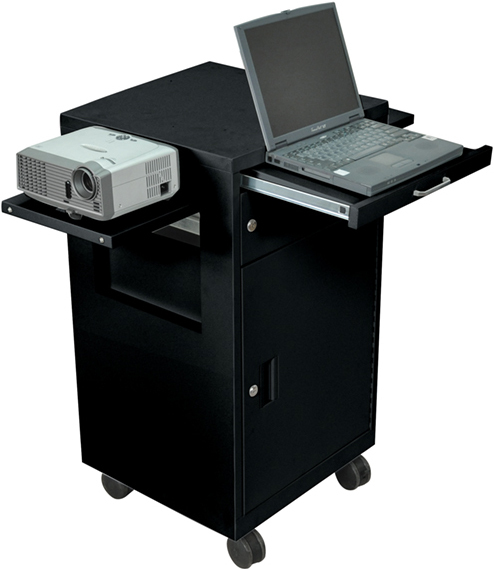 This all-metal multimedia cart can quickly transform to accommodate the use of several pieces of AV equipment. 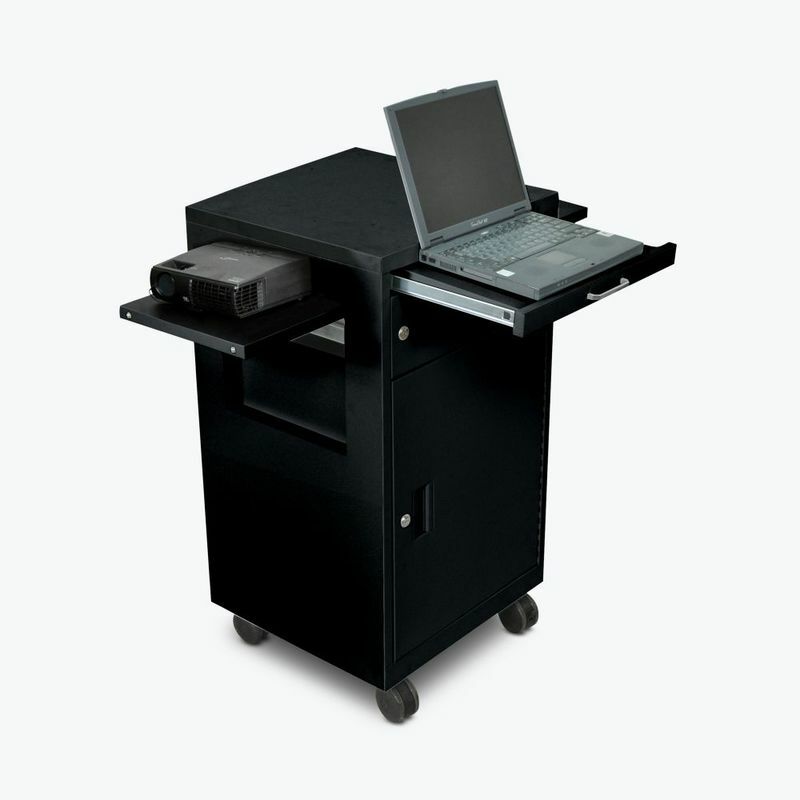 In addition to the sturdy top workspace, there's a pullout laptop tray and two flip-up side shelves providing additional platforms for projectors, speakers or other AV items. A lockable drawer and cabinet with an adjustable shelf keep equipment and accessories secure when not in use, and four casters make the unit easy to roll from place to place. 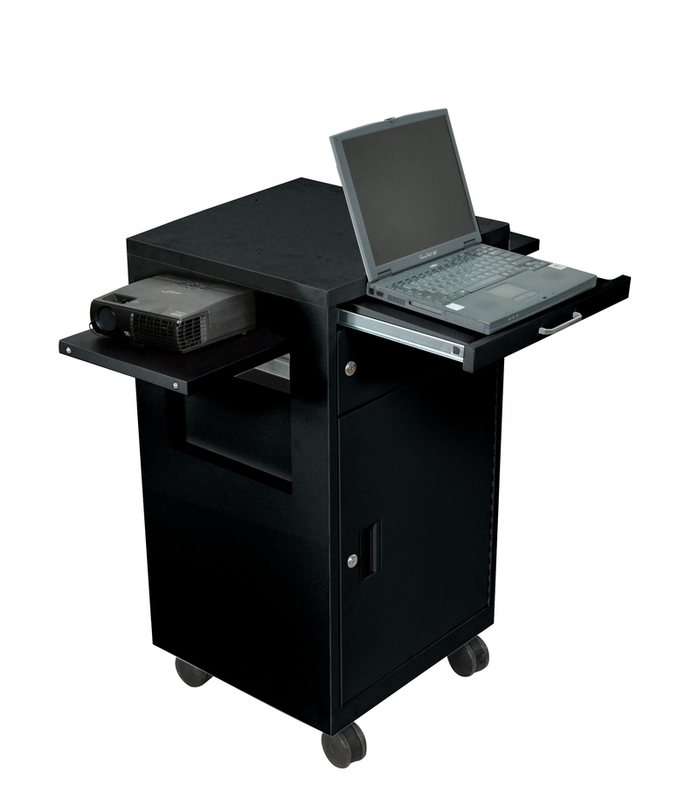 For a versatile AV cart that's ready to adapt to your presentation needs, look to Luxor. 36" x 21" x 8"
This product is shipped from our warehouse in Lake Waukegan, IL, USA.